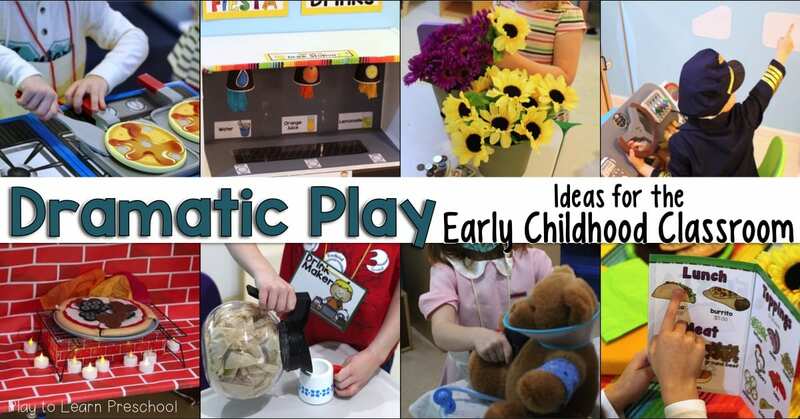 We are always looking for new and creative ways to encourage learning in the dramatic play area. During our “Fairy Tale” unit, the students fell in love with all of the fun stories that we read. They constantly asked to take the book home to read again, which got me to thinking… we should set up a Library Dramatic Play Center! For this center, we used a little nook in the corner of our housekeeping area that has some vinyl rain gutter book shelves and a bunch of pillows and soft animals. 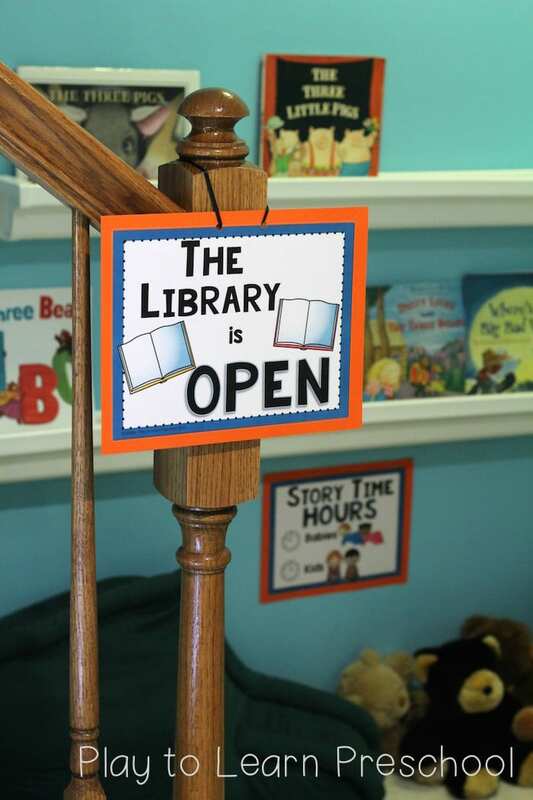 It’s not as big as one of our “typical” dramatic play centers, but it was perfect for a library. These special books became our reference area. The kids could read them, but not check them out! 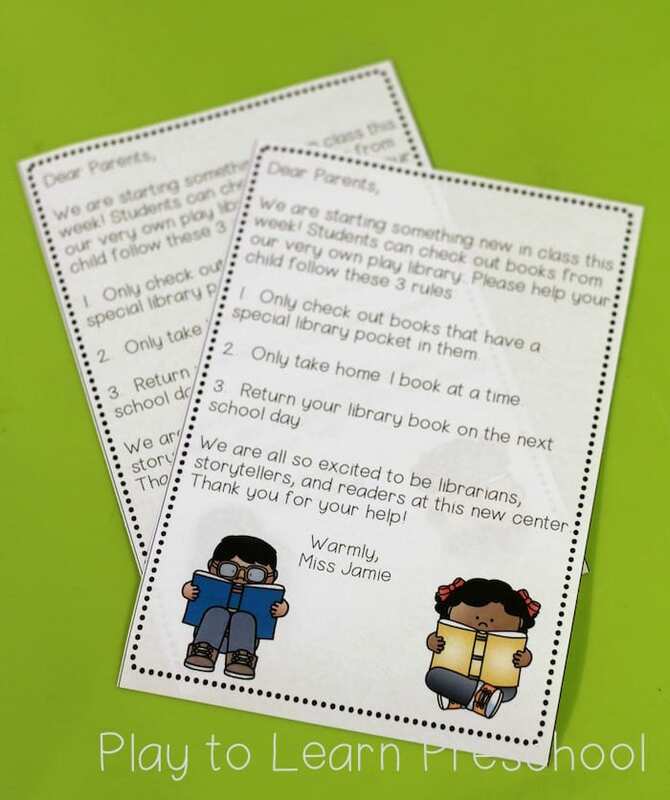 We also made official library cards for each student. I laminated them, for authenticity, and wrote each child’s name on one. 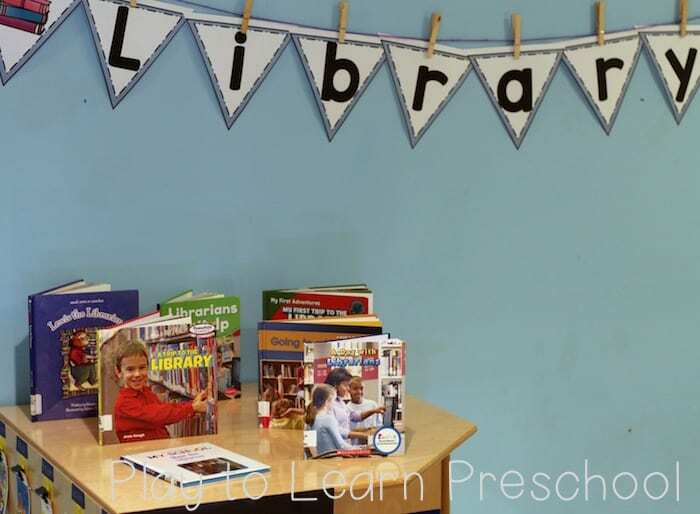 During centers, the students could chose a few things to do at the library. One of their favorites was “Story Time.” We made a sign that said there were two story time hours: one for babies and another for kids. During “Baby” story time, the children brought their baby dolls to the library and one of our librarians shared a fairy tale with them. How sweet is this little scene above?! Another option was to check out a book. We selected some of the fairy tale stories (I have a lot!) and placed library pockets inside of them. We added a tag that said, “Please return this book to our school library tomorrow.” Inside the pocket, I placed a picture of the cover of the book and wrote the title. 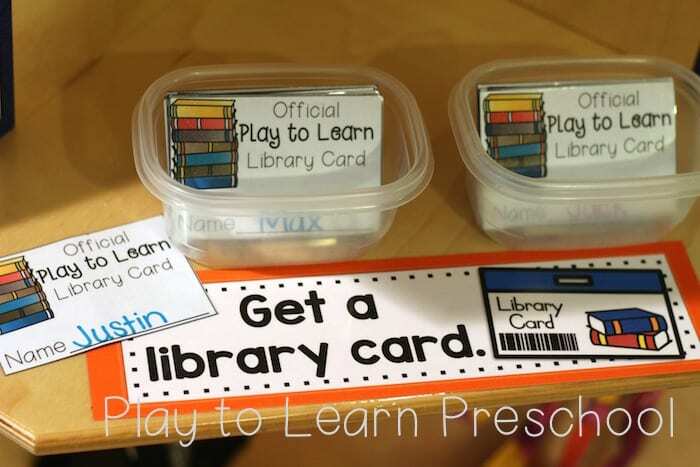 To check our the book, the student removes the title slip and gives it to the librarian along with her library card. The librarian then “checks out” the book at the computer. 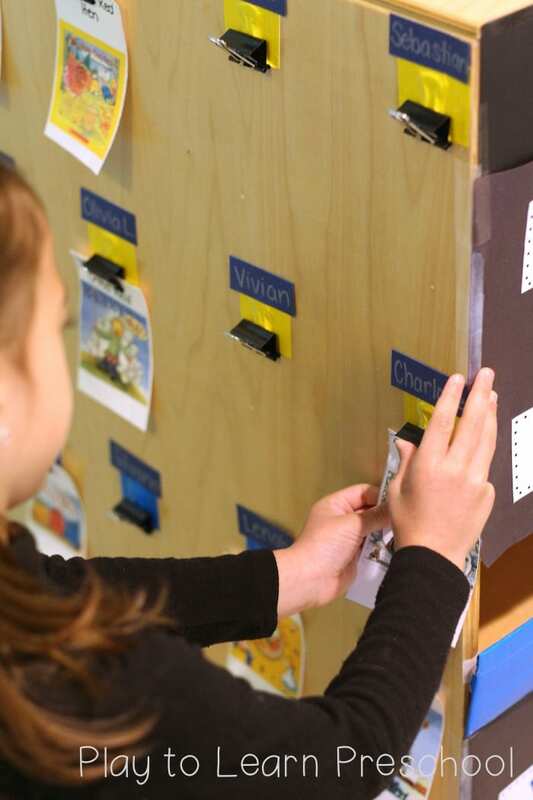 To keep track of which book goes home with which reader, we taped binder clips onto the side of our dress up closet. Each one is labeled with a student’s name. The student clips the title card onto their name and gets to take the book home. 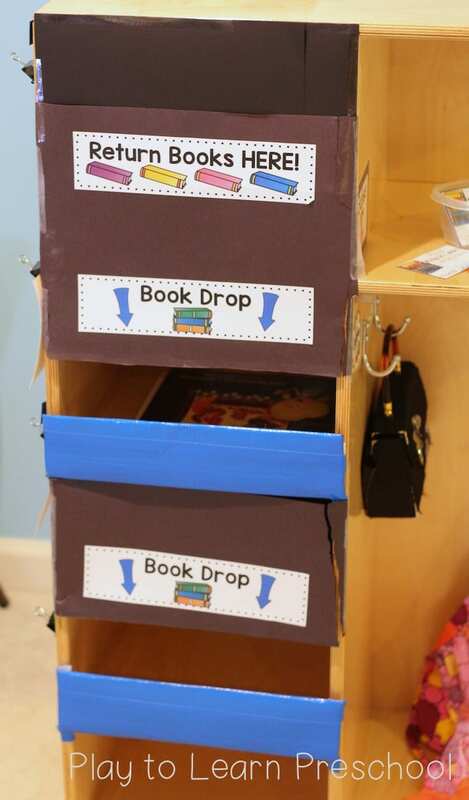 The next day, when the book is returned, the student can slide it into the “Book Drop.” It’s the librarian’s job to remove the books from the book drop, find the matching title card, and place it back into the library pocket. 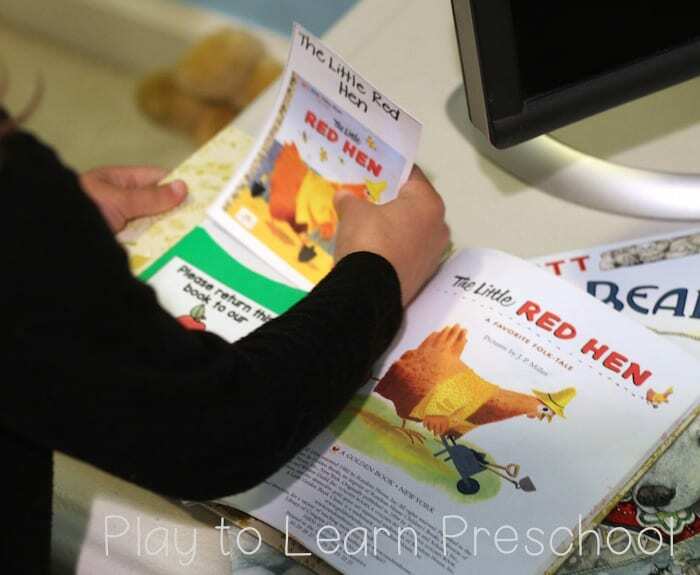 Our younger preschoolers needed some support with this, but the Pre-K kids were completely independent! They loved being able to take the fairy tale books home and we decided to leave the library open even after the unit was finished. How can I say no to children who want to read more? I can’t! 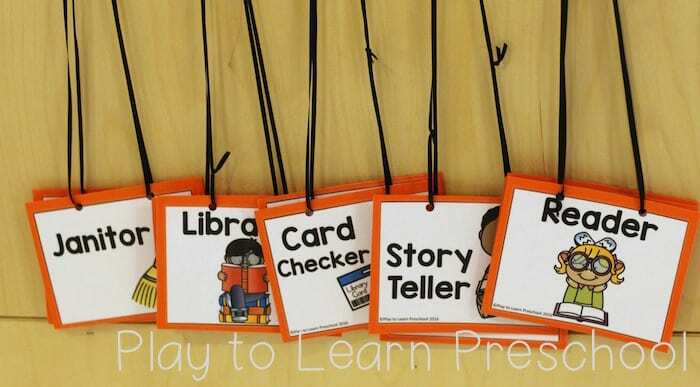 All of the signs, editable labels, role playing name tags, and library cards are available for you to print in this Library Dramatic Play set. 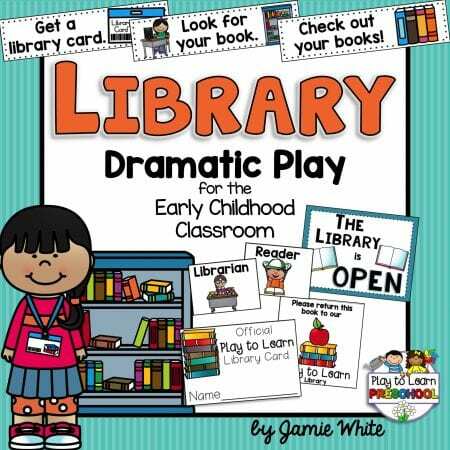 I hope it helps make your dramatic play center into a fabulous, literacy-rich library! Jamie! I love looking at your materials! What program do you use to create and edit your materials?